Absolutely! 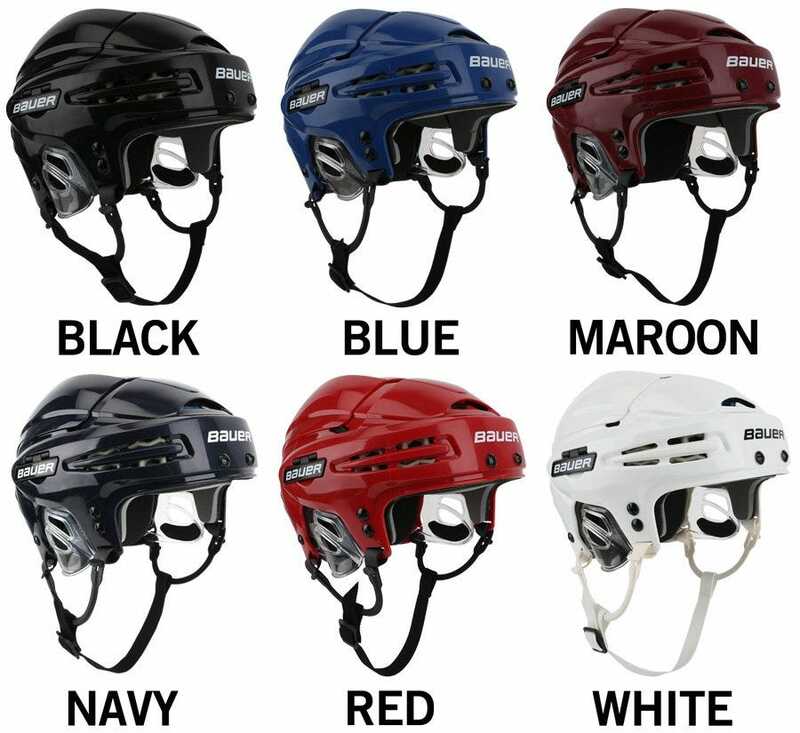 You will want to get the SR sized concept 3 for a medium sized helmet. The JR would fit best on a small helmet. When my son wore this the first couple of times he said it pinched his head. We adjusted it the first time and it was better. He wore it a second time and we needed to tweak again but now he loves the fit. You need to adjust and then wear the helmet a few times for the foam to conform to the head to get the best fit. This is a great helmet and provides good protection. Just purchased this helmet and I’m very happy with it. Fits great, well made and comfortable. Great value for your money! My husband needed a helmet that didn't rub on his ears, and this one was the best fitting one that we tried. Looks good, protects even better! Great helmet. It is very durable and protective. Very comfortable helmet. It's light, and the no-tool adjustment feature to customize the fit is nice. I used to wear Bauer 4500, and CCM helmets in the past, and this one fits slightly lower on my head, which I like. To note: if you remove the protective ear pieces, the helmet will fit larger. Insanely comfortable, great product for the price. Even thru on bauer curve clear visor. Love this helmet .. bought the bauer re-akt 2012 model thinking it would fit my head better. i was wrong.. i could fit in the large and medium helmet in both but i use a fish bowl and the re-akt medium would give me a headache just wearing it .. i bought this helment in 2010 and just bought a new one in 2014 pretty sweet deal.. fits bubble perfect..
Great looking helmet at an affordable price. Very comfortable and fits very true to size. Before this helmet I had the OLD Nike/Bauer 1500. Both helmets are medium in size. This helmet is much more comfortable and looks amazing with the clear Bauer HS22 pro straight cut visor. Bottom line GET IT. :-) Long Live Hockey!! !